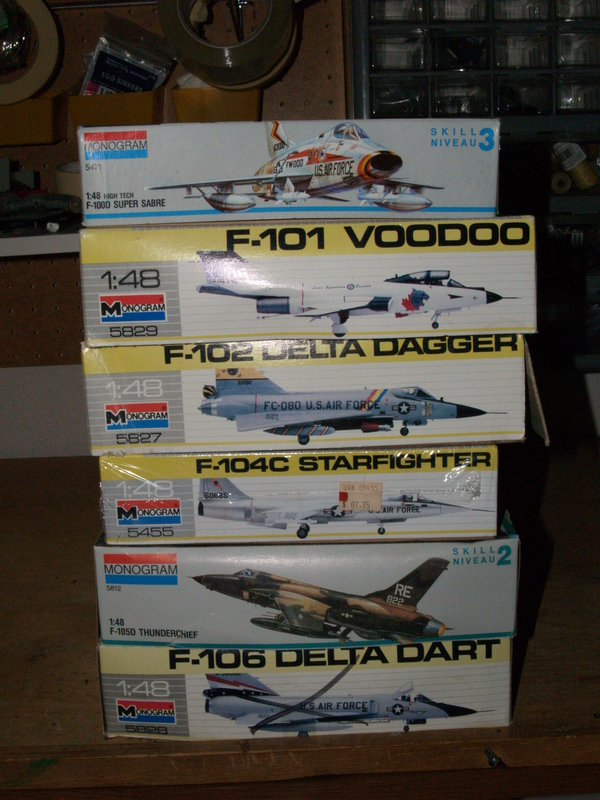 The F-106 kit I am building was purchased many moons ago (over 20 years). There was a black “X” on the side of the box which means the hobby store in Champaign, Il where I bought it was giving me a discount because the kit was “returned”. Up until the last day or two I thought that was because the top of the tail on one of the sides was broke. And I fixed that with some of my favorite putty, Milliput. However, looking though the box of my half built kit i discovered it was missing one of the front wheels. In the past I would have either put the kit back on the shelf of no tomorrows or found some old ugly wheels in the spares box. 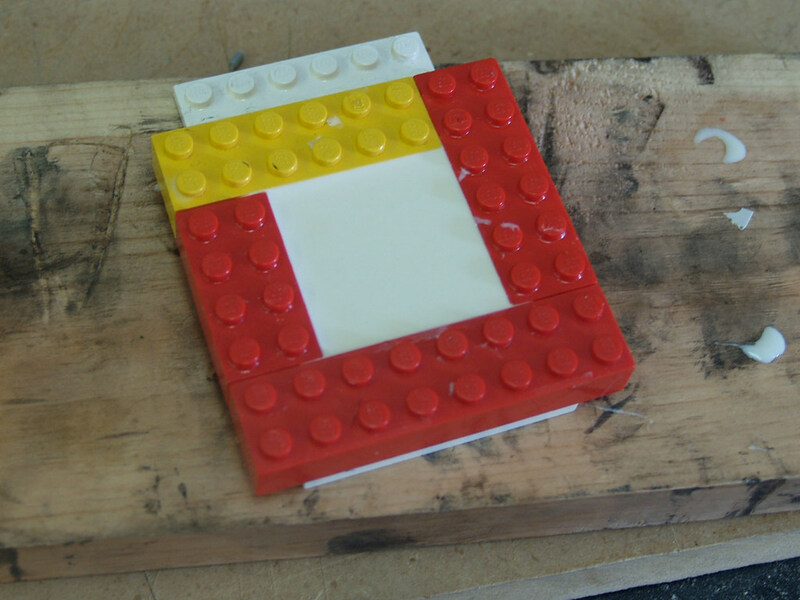 However, my recent playing around with resin casting proved to save the day! I had to build the RTV molds twice. Learned that PAM cooking spray does not work as a mold release for RTV. 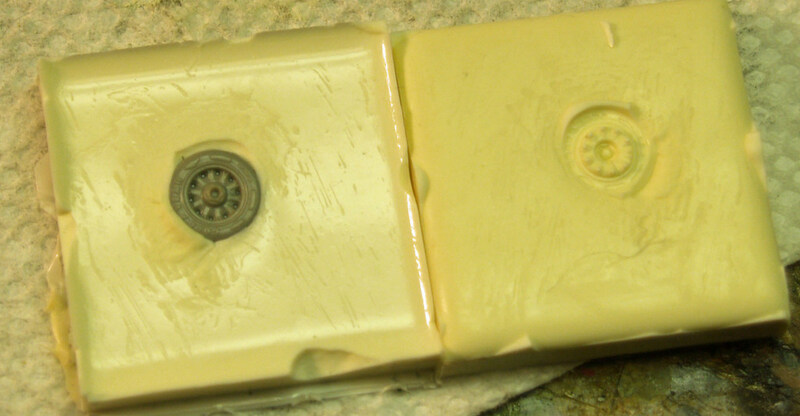 After a trip the the hobby store for mold release I made the following mold. 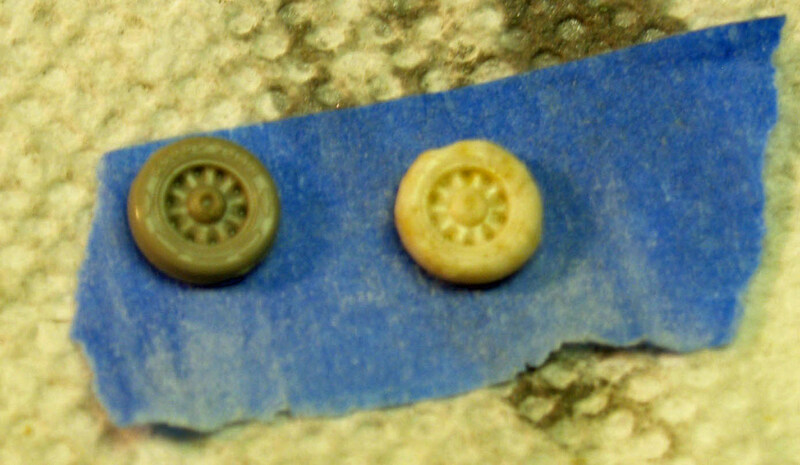 After cutting a pour cavity into the mold I cast the wheel. It took me a couple of tries as the resin is getting a little older and doesn’t pour as thinly as it did a little ways back. But the end result after I clean it up a bit should be passable for the kit. With the busy summer drawing to a close it’s time to start building. I’ve put the Fw-190 away for a bit (I’ve been working on that kit for over 10 years) and decided to get out something off the to-do pile. A few years back I decided to build all of the Monogram 1/48 scale Century Series fighters, the cools jets of my youth. 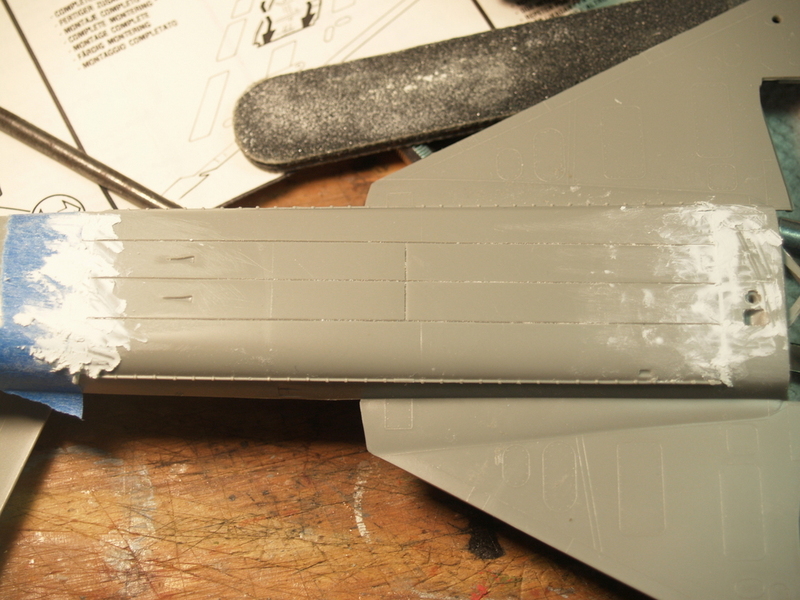 This F-106 is the last of this build. The kit is consistent with the all the others of the series; fine raised panel lines, great detail, some fit problems, detailed cockpit and wheel-wells, and bright decals. Here are some photos of the project underway. Note that I am closing up the finely detailed missile and wind power turbine bays as I don’t want all of that hanging out the bottom. Some work involved filing in the seams for these. My plans are to interleave this with the continuation of the rigging of my Revell Constitution. More on that later.